About this time of the year I start to tire of cold weather and gray, overcast skies. To be honest, I start looking forward to Spring — blue skies, green grass and flowers in bloom. 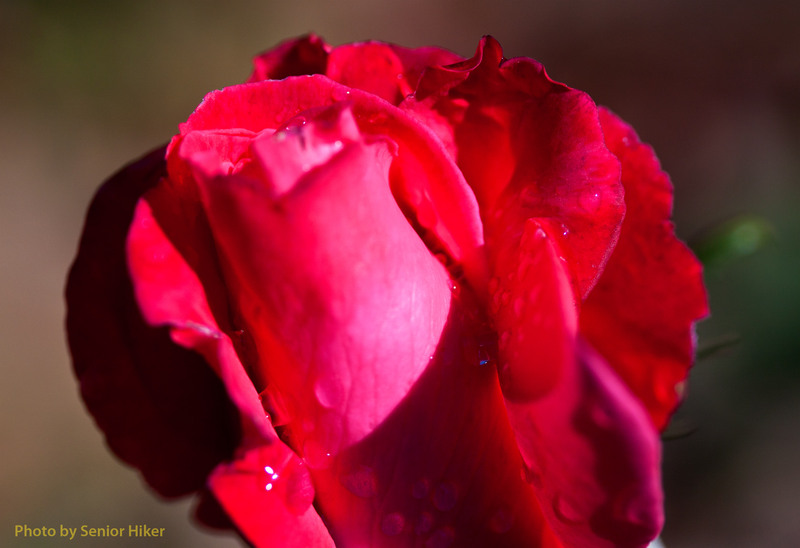 One of the flowers I look forward to seeing is our Elizabeth Taylor rose. It always seems to brighten the day. I’ve been fortunate enough to visit the Great Wall of China four different times. Unfortunately all four times were before the advent of digital photography, so all of my pictures were either prints or slides. Slides don’t always scan well, but I was able to create this water color from a scanned slide made in 1990. 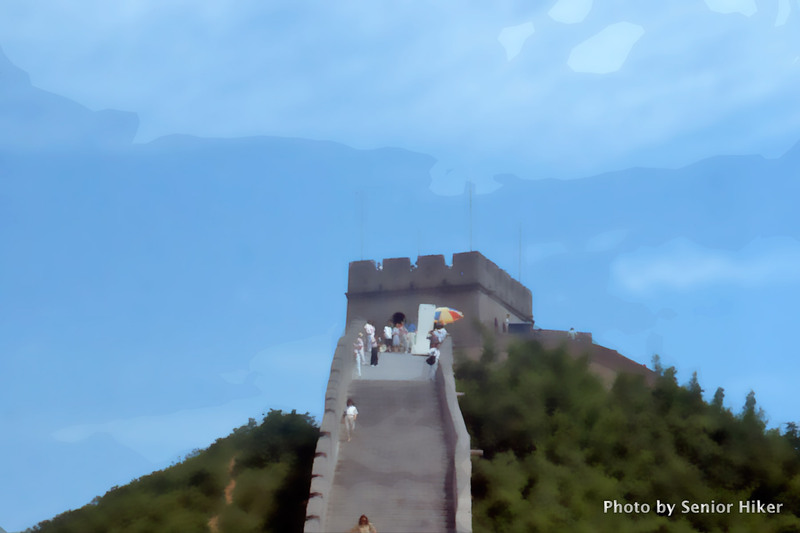 This is a watch tower on the Great Wall at Badaling near Beijing. 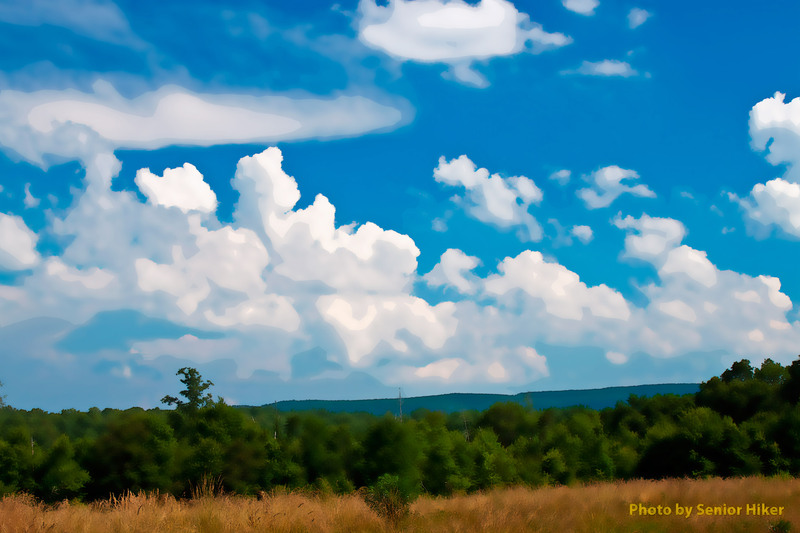 We get some beautiful blue skies in June up here on the Cumberland Plateau, and seeing white clouds floating across that blue background makes me wish I was an artist. 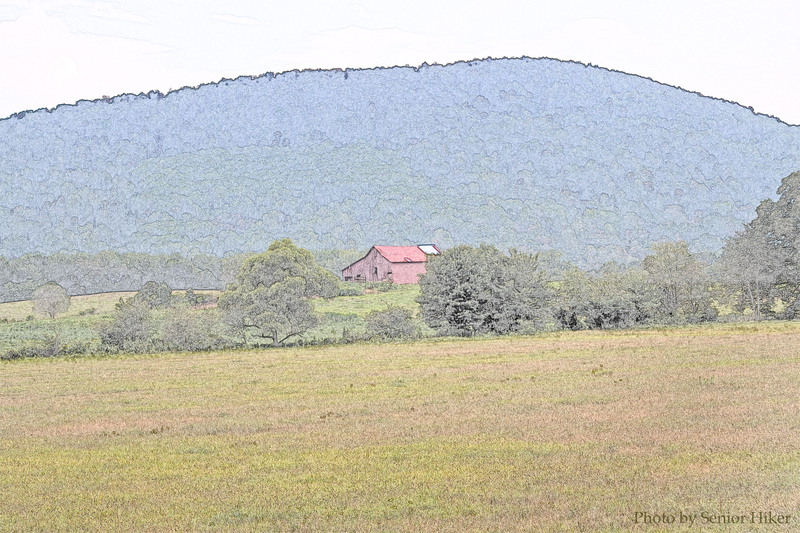 I’m not an artist, but I was able to create this ‘water color drawing’ with Photoshop, based on a photo I took near Hebbertsburg, only a few miles from our house. Old Stone Fort State Park here in Tennessee contains three waterfalls, but Betsy and I visited during a summer drought several years ago. We still found flowing water at all three waterfalls, even if the streams were small. 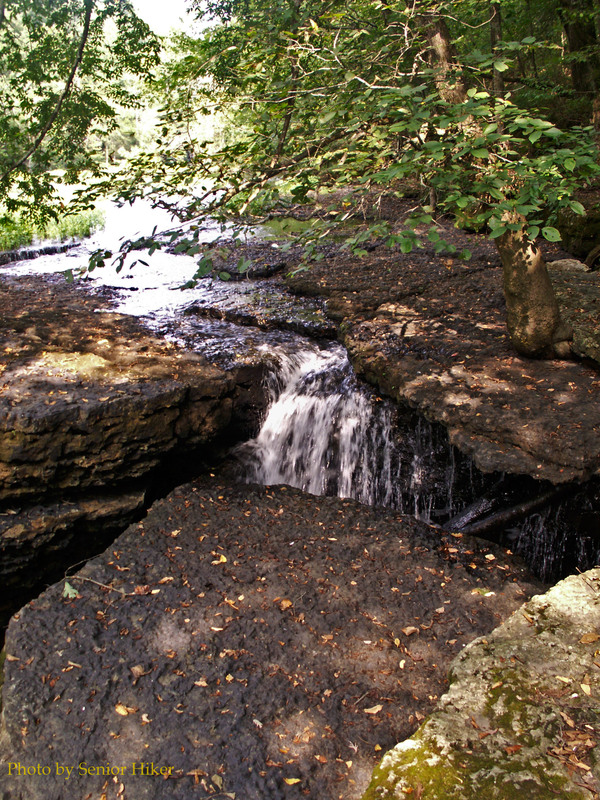 This is a portion of Blue Hole Falls in the park. Betsy and I enjoy exploring the back roads wherever we travel, but we also enjoy the back roads here on the Plateau as well. 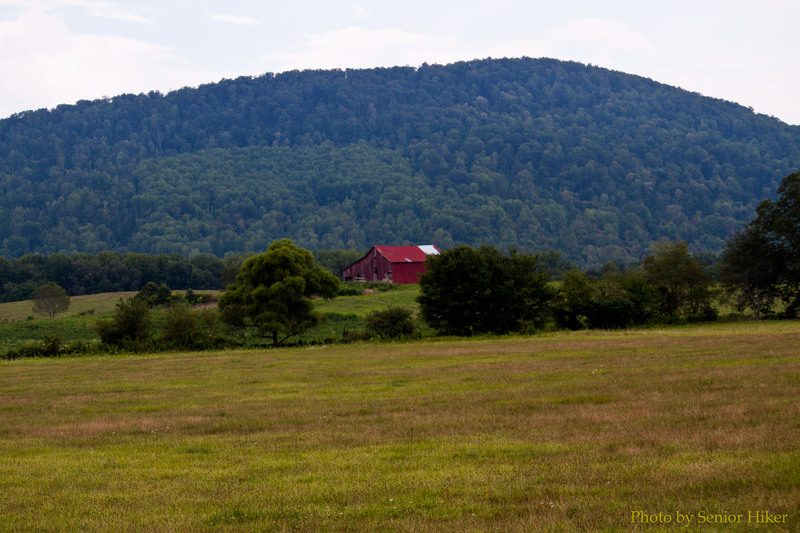 We came upon this scene while driving through Grassy Cove here on the Plateau. We drove along the Blue Ridge Parkway in August of 2010 on our way to Peaks of Otter Lodge to celebrate Betsy’s birthday. The day started bright and sunny, but a storm started moving in during the afternoon, hiding the scenery beneath clouds and haze. 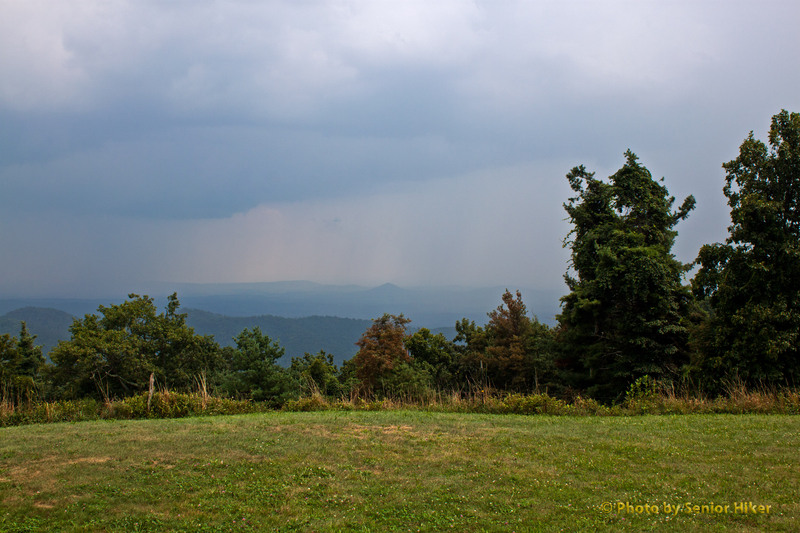 I captured this view at the Cahas Mountain Overlook south of Roanoke. 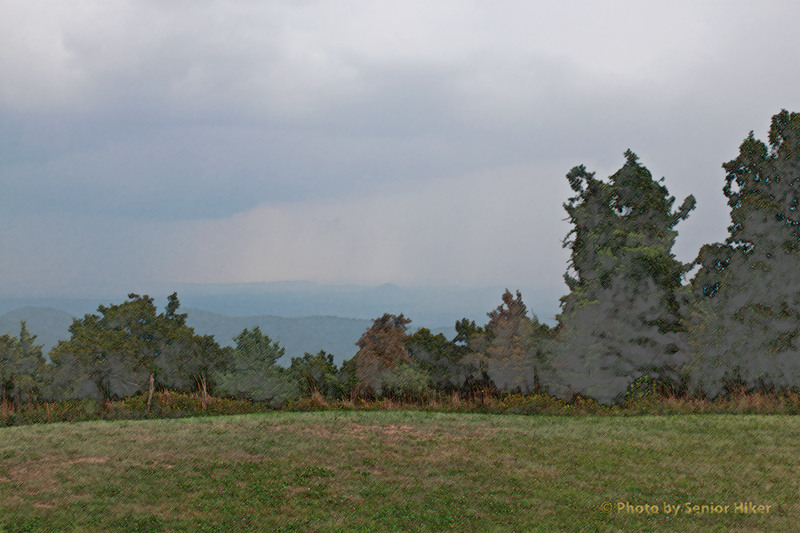 The mountain was nearly hidden, and rain was beginning to fall in the valley below. 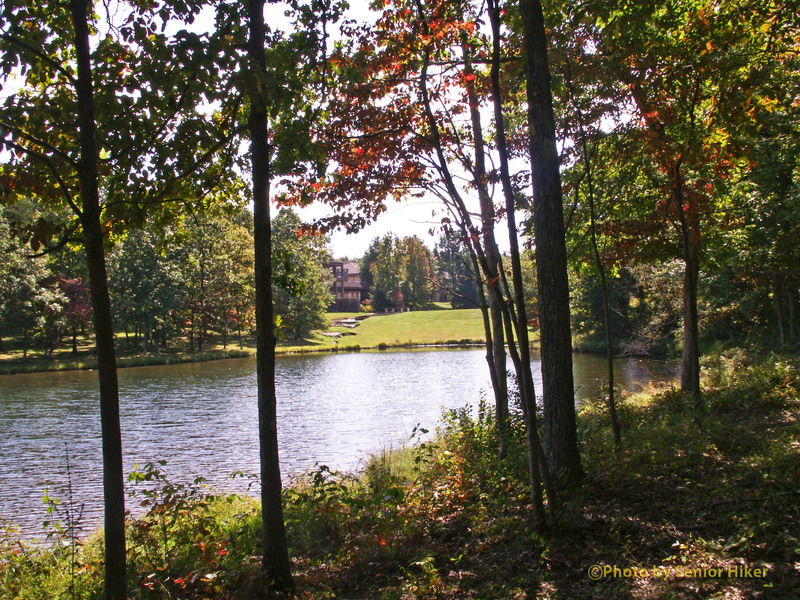 Fairfield Glade is blessed with several man-made lakes. Some of them are small, but some of them are fairly large. 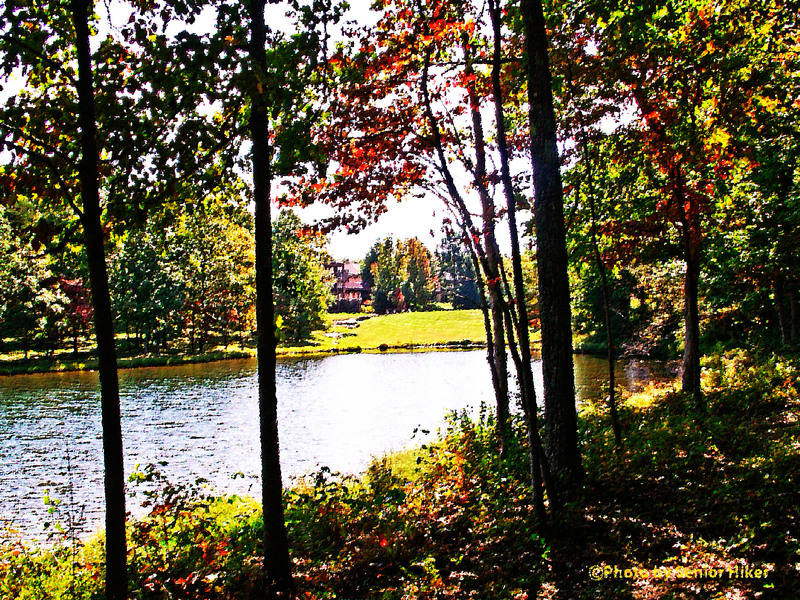 Sherwood Lake is a small lake near the lodge. This painting is based on a photo taken in late September, 2006. 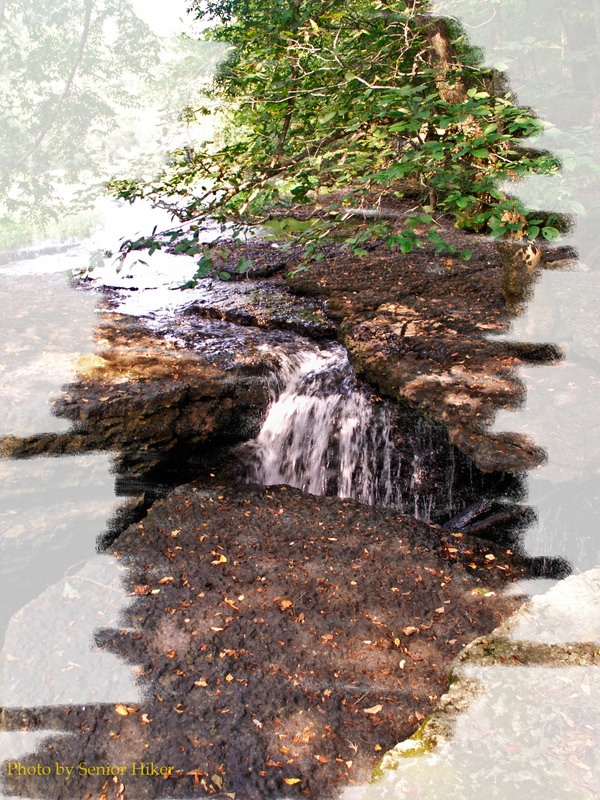 I’ve enjoyed experimenting with Photoshop, learning new ways to present my photographs. 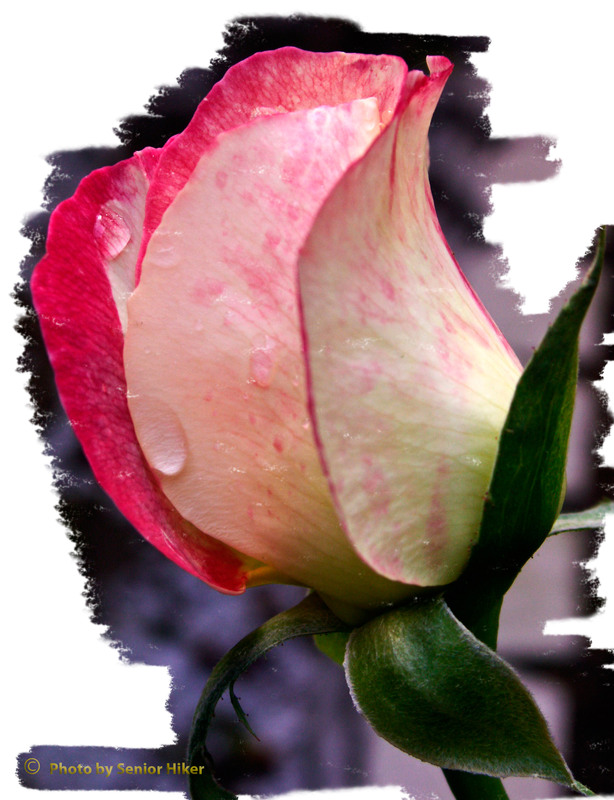 This sketch is based on a picture I took of a bud on our Double Delight rose. I need to do some more experimenting with this technique, but I rather like the result. 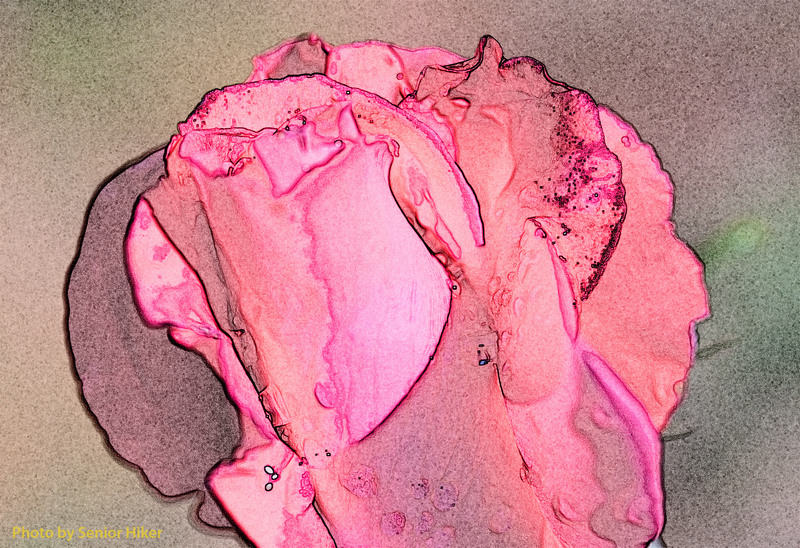 This is a water color created from a photo using Photoshop. Betsy and I have often visited Bald River Falls near Tellico Falls, Tennessee, but back in June, 2010, I hiked along the river above the falls. Bald River is a pretty stream with water tumbling over ledges and rocks. Cades Cove is a beautiful valley tucked into the Smoky Mountains. 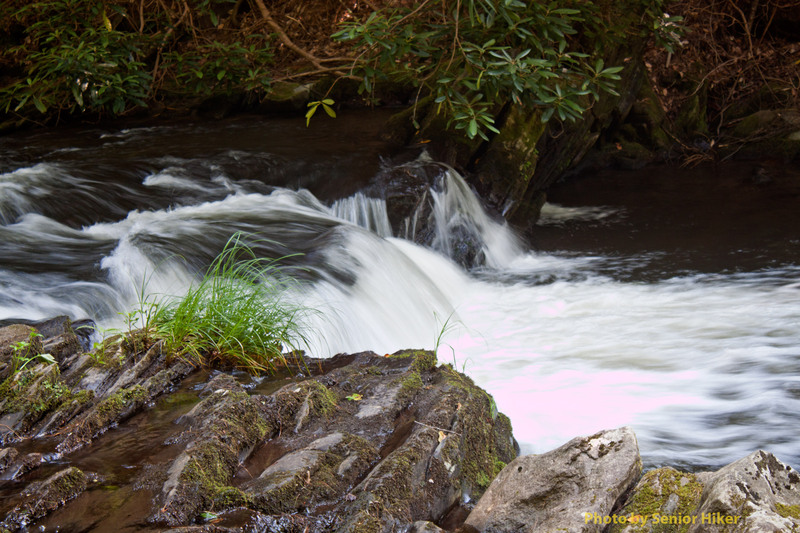 It is now a living museum, and is one of the most popular parts of the Great Smoky Mountains National Park. 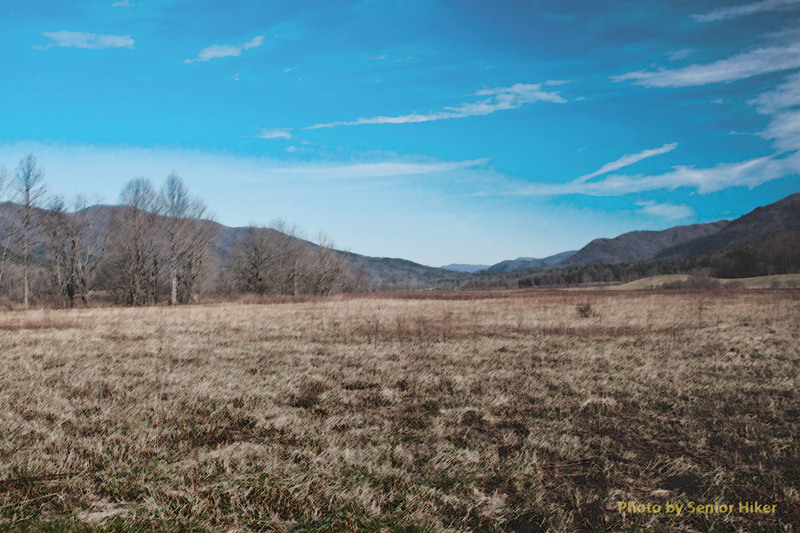 Visiting Cades Cove (provided it’s not overrun by tourists) is like stepping back in time. Betsy and I enjoy visiting any time of the year. This drawing is from a visit we made in December.